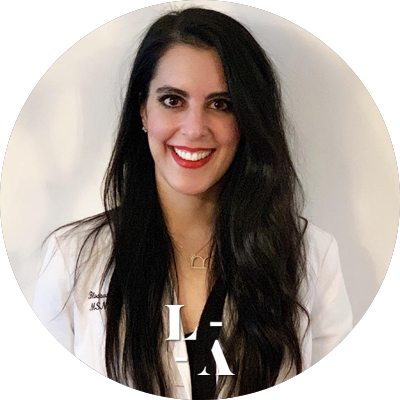 Blossom Hashemi is a board certified Family Nurse Practitioner and oversees the New York region at LaserAway. As a native to New Jersey, she obtained her Bachelors of Science at Boston University, majoring in Human Physiology. Blossom continued her studies at DePaul University in Chicago, IL to obtain her Masters of Science to become a Registered Nurse, then at the University of North Carolina in Chapel Hill to become a Nurse Practitioner. Her passion for blending art and science inspired her to specialize in Aesthetic Dermatology after spending eight years working in the hospital setting. Blossom thrives on providing high-quality patient care and educating others on how to keep their skin glowing and youthful. In her free time, she enjoys learning the latest innovations of Aesthetic Dermatology, spinning, pilates, barre classes and running.